Welcome to the Carroll Manor Recreation Council website! CMRC is a member of the Frederick County, Maryland Association of Recreation Councils and serves the communities of Adamstown, Point of Rocks, Ballenger Creek, Buckeystown, and Tuscarora. CMRC offers youth programs for baseball, basketball, cross country, field hockey, golf, lacrosse, soccer, softball, and wrestling. For those of you currently part of the CMRC community, our website serves as your primary source for all things CMRC-related. Today Carroll Manor Rec Council graciously accepted an annual donation from Nylec Photography. For many years, Deb Nylec has generously donated nearly 100% of the profit she earns photographing our young athletes. Many CMRC families participate in a large fundraising initiative by purchasing photos of their young athletes playing recreational sports for CMRC. A huge THANK YOU to Deb and Nylec Photography for your continued support of our program and our community! This $2,000+ donation is greatly appreciated. You're the BEST! 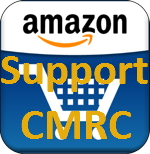 SUPPORT CMRC BY SHOPPING ON AMAZON! Last year the Amazon Affiliates program raised significant dollars in support of CMRC activities. This year we want to double that contribution from AMAZON, and YOU are the key …. Remember every time you shop Amazon (all year long) you contribute to CMRC Park funding simply by starting your search from the CMRC Web site. A portion of your purchase will benefit CMRC’s Community Park! Everyone can participate: family members, co-workers and relatives from anywhere in the world. Do you have a Kindle or use the Kindle app? If so, purchase your books via the link (we know it’s an extra step, but it is for the kids!) 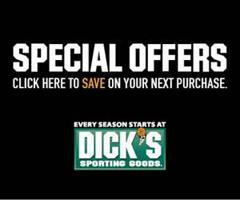 and your purchase will help fund the park! The Registration "Carroll Manor Recreation Council" is not currently available.